Aguapuro offers complete solution for Sewage Water Treatment Plants and Recycle. The Sewage from the residential and commercial buildings is treated for reduction in BOD, COD & TSS in order to comply with the pollution control board standards for disposal, gardening, flushing and other non-potable purposes. The sewage treatment plants are based on the Latest FAB (Floating Aerobic Biomedia) or SAFF (Submerged Aerobic Fixed Film) treatment followed by clarification by a tube settler. Lime is dosed in for suppression of foaming tendencies. The clarified water is then further filtered in a Multi media Sand Filter after dosing of coagulant (alum) for removal of unsettled suspended impurities followed by Sand Filter and Activated Carbon Filter for removal of organics. The filtered water from ACF is then chlorinated & stored in the treated water tank. These sewage treatment plants are available in RCC constructed designs for commercial and residential buildings as well as Mild Steel FRP Lined and Fibre constructed tanks for easy installation and commissioning. Systems are offered for achieving zero discharge using UF and RO systems further to treat sewage. we as one of the leaders and most renowned company in water purification and are engrossed in Compact Sewage Treatment Plant. With advancements in our manufacturing technology we are able to develop highly efficient water filtration technique to provide high quality de-mineralized water. 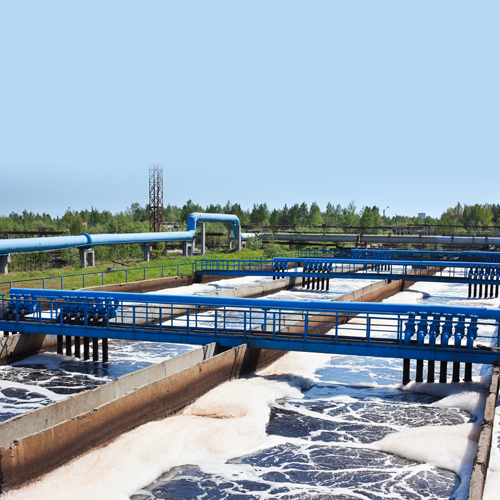 With through knowledge of varied aspects of the market, we have been able to bring forth the clients an extensive range of Waste Water Treatment Plant. These plants are manufactured under the supervision of our experts with premium quality raw material and advanced technology which is procured from trusted vendors of the market. We are engaged in offering Packaged Sewage Treatment Plant to the clients. With advancements in our manufacturing technology, we are able to develop highly efficient water filtration technique to provide high-quality de-mineralized water.